On Tuesday I went to the track to jump into a session with a big group of locals. I was told the group was going to be about 35 guys who range from 2:06 to 2:15 in the marathon. That sounded perfect for me, I would find some guys to run with. The session was 7 x 2km with 2.5 minutes rest. 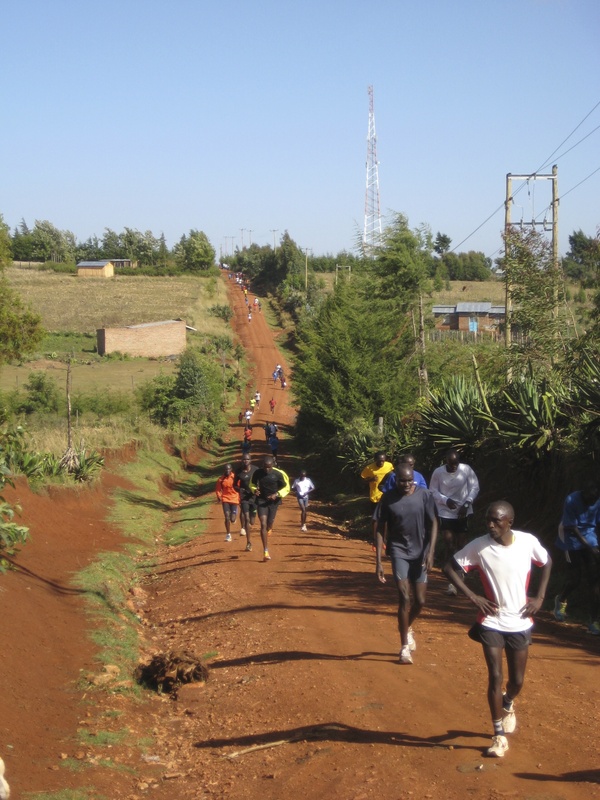 Gilbert Kirwa (2:06:14) told the group the workout and the intended pace, 5:55. I knew 5:55 was too rich for me, but the group, surely, must stretch out. On the first couple of intervals I ran on the back of the pack and passed guys who fell off the pace. My splits were a little quicker (6:03, 6:02) than I thought I’d run but it felt fine. On the third one the leaders went a little faster (hitting the intended 5:55 pace) and I lost contact. The guys who I was running the first two intervals with had also picked up their pace except very few of them actually ran the full 5 laps. These dudes would just go with the leaders and drop out after a few laps instead of doing 2000m at their own pace. I pretty much ran intervals 3-6 by myself, off the back, going around the same stragglers at the same points each interval. On the sixth 2km I had to push hard to hit 6:12 and decided to call it. I hit the average pace I wanted to except for instead of working down I regressed. I know I’ve written about this phenomenon before but it still blows my mind that Kenyans stay with the leaders as long as they can only to drop out. I witnessed it during the Discovery XC race, tons of DNF’s and tons of guys coming back to me at a very slow pace. 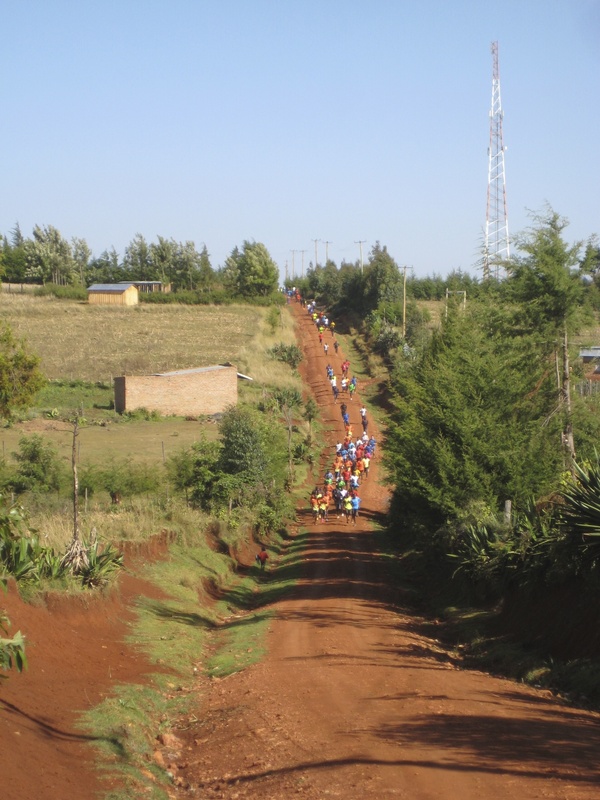 On Thursday I took Eric, Dan and Lee to watch the famous Iten Fartlek workout and we stood at a corner where many guys call it quits. We watched as 200+ runners came through and I bet at least 1/3 of them quit the workout after 5-6 intervals of 3 minutes instead of completing the prescribed 15 x 3 minutes. The mentality is to stay with the lead group as long as possible and hope that next week they can stay up there longer. As opposed to completing the full workout and hopefully later on they can complete it faster. The front of the fartlek workout. The runners streamed past us for about 10 minutes! I’m TOTALLY an amateur-civilian-over the hill runner, but if I had to drop out of my group workouts because I couldn’t keep up, I’d be ashamed and all sorts of emotional hell would break loose. Even if it’s not speed issue (you know, like…nature…issue), I feel like crap. I guess these guys just have the “live to fight another day” mentality more. Definitely something to think about for sanity’s sake! I have a brother who runs like that and he is pretty good: he goes out hard. Yes, he often bombs after 25K but near the race day, he is alright and does well. I have decided to change my running style and try that: no fear or respect for speed. Just hammer it out. I laughed out hard when I read Overall’s narration of the episode about the Kenyan giving him water and the awkward moment when you couldn’t warn him openly not to drink that water whose source and container’s cleanliness could not be ascertained. I can just imagine your eye movement and facial expression. That was real funny. 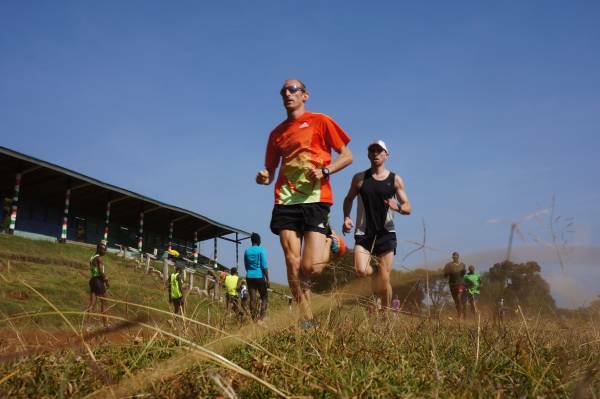 Yes, even in races with those guys, its the same thing: if they cant sustain the paces with the leaders, they drop out: being at the back is not an option for them. Its great to have you guys here and I hope you will be coming again and again. Cheers and all the best. Course à pied.ca » Réflexion : est-ce qu’on devrait s’entraîner comme au Kenya?